. . . a cozy romantic mystery with suspense from the Mystery Angel Romance series. An angel hidden in every book, and it's up to the reader to figure out who . . .
Kellen Brand's inheritance turns out to be a whopper--one dilapidated farm in West Virginia and one guardian angel! Since Kellen is convinced no sane woman would choose to live in Riverside, she vows to sell her farm and quick. Her handsome neighbor Luke Kenyon must block the farm sale or risk exposure of his family's secrets. 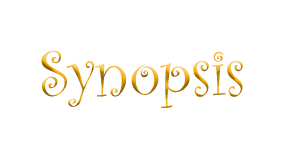 While Kellen has located one potential buyer, she faces a town full of objectors. Someone is trying to frighten her off, and Luke is forced to step in and rescue her more than once. Unfortunately, Kellen can't seem to stay out of trouble. She stumbles onto a clandestine hazardous-waste-dumping operation next to her farm, and she prays Luke has one more rescue up his sleeve. It's her only hope of staying alive. In small towns, secrets abound and Riverside is no exception. When Kellen and her brother inherited the old family farm, not only hadn’t they known their mother still owned it, but neither wanted anything to do with the harsh memories it evoked. Too bad someone is doing their best to hide dark secrets in the old mill, in an effort to force both Luke and Kellen to sell, when all Luke wants to keep his land, his family secrets and just maybe, the fiery female with no sense of self-preservation. 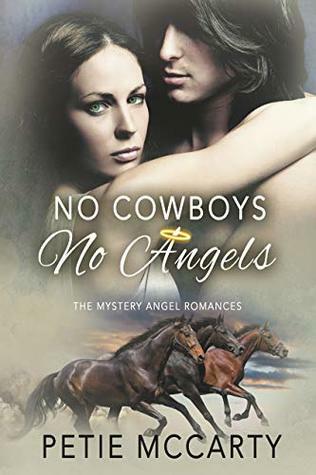 Petie McCarty’s NO COWBOYS NO ANGELS has a truly intriguing mystery to solve and a “Yes, they are made for each other,” romance that will bring smiles to readers’ faces! Kellen is a woman with a mind of her own and a lot on her plate who is trying to forget the pain of the past, but is Riverside the same as she remembers it? Is it all bad? If you like your cowboys riding up on his trusty stallion in full control and just maybe a little arrogant in the saddle, (because Petie McCarty describes these scenes so well) and your heroines full of sass and self-confidence, one who has your back against the odds, you are going to love NO COWBOYS NO ANGELS! 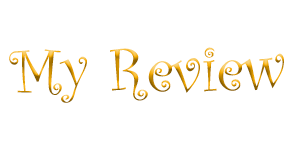 Sweet "fade to black" romance that sizzles with possibilities and when you discover WHO Kellen’s Guardian Angel is, you are in for a real treat! Nope, I did not see that coming…but it was perfect! I received a complimentary copy from Petie McCarty!